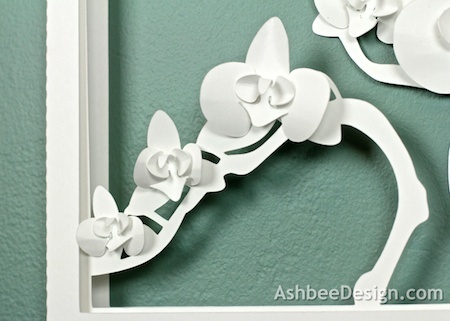 Ashbee Design: Orchid Shadow Box - and a New Lens! 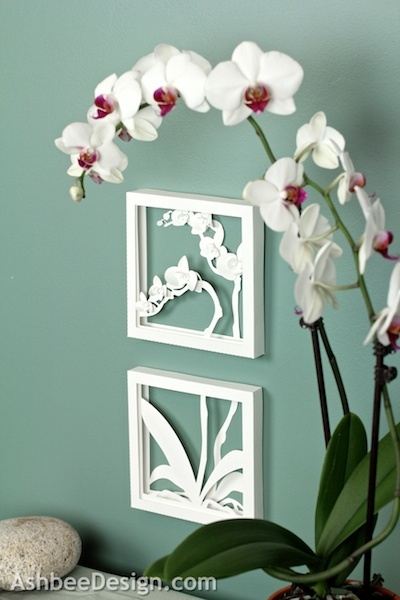 Orchid Shadow Box - and a New Lens! 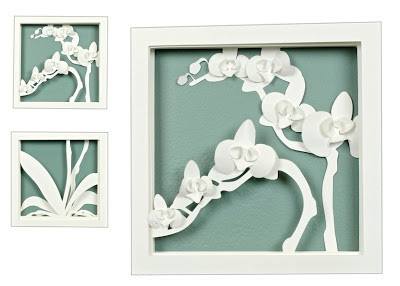 The paper shadow box theme is one that I haven't exhausted yet. 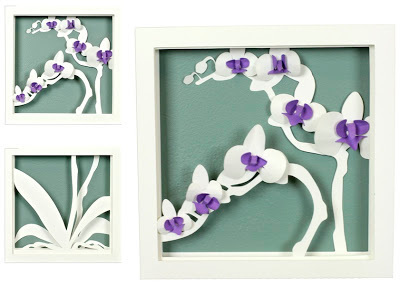 It is applicable to so many subjects and yesterday my latest file, 3D Orchid Shadow Box became available over on the Silhouette Online Store here. My daughter and son-in-law gave me this beautiful orchid plant for Mother's Day, and although I doubt I will be successful in keeping it alive for long, it has certainly been happy for the past month as new gorgeous blossoms continue to open. I used it as my design resource for the new shadow box. It is such an exotic plant. As with all of my shadow boxes I have written a tutorial post to assist with the assembly. 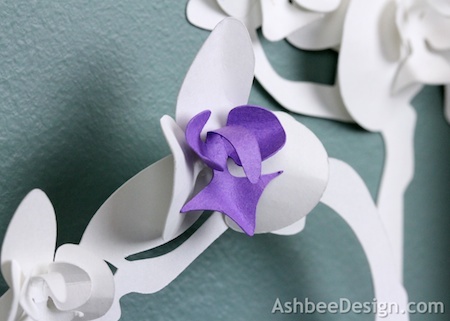 The post for the orchid is located here at my other blog - Ashbee Design Silhouette Projects. 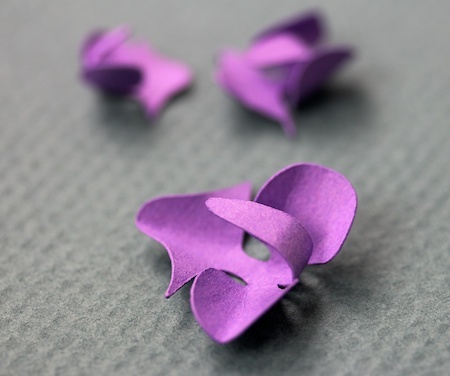 And this one- showing the curling of the center. A little white balance issue here, but it is all in the learning! I made this shadow box in two different styles - one has the purple centers and the other is all white. 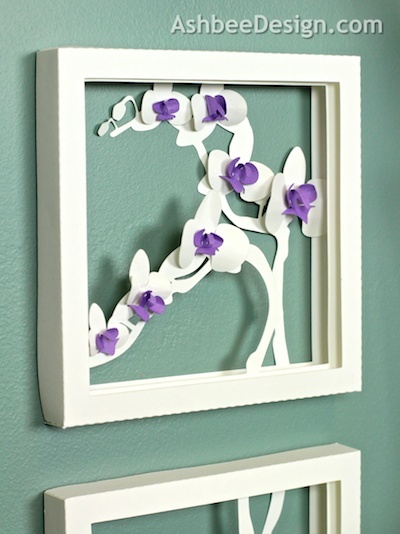 This shadow box is similar to the apple blossom design from earlier this year. 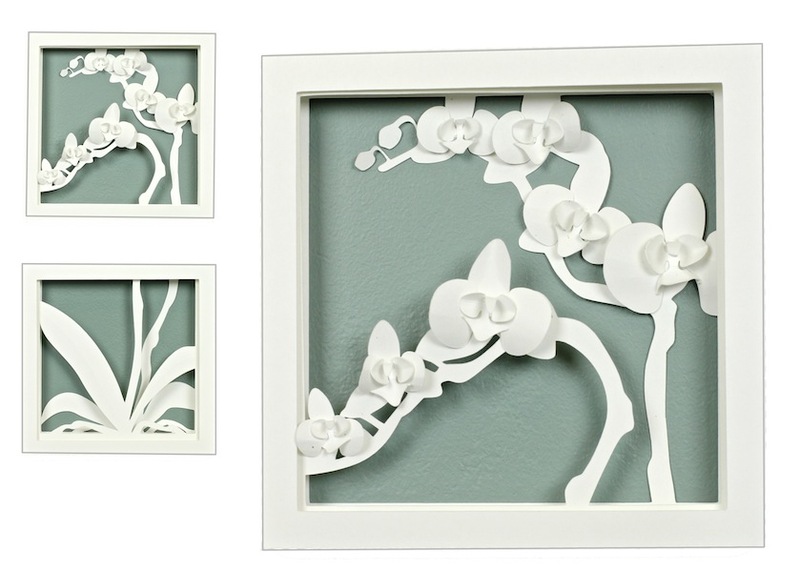 I used the layers of the shadow box for the stems and leaves and then emphasized the complexity of the blossoms with added on petal layers. Wonder what my next shadow box will be? I swear I need to create a board called Marji's Magnificent Art just to pin everything I love on your site. I do not have a silhouette but I just cannot get enough of your work. 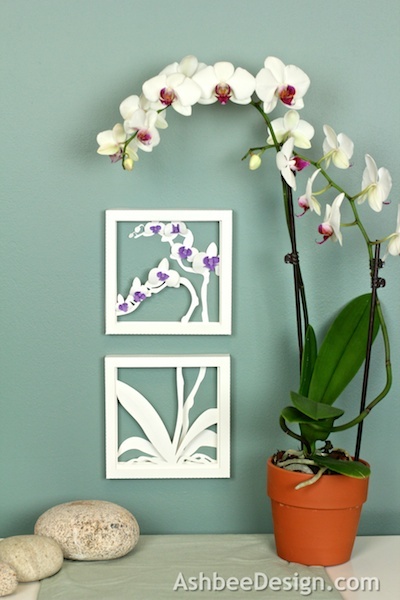 Your paper orchid is as beautiful as the real thing. Hello Lois! What a wonderful message to be the recipient of. It gave me a great big smile. Thanks for making my day. I'll try to keep up the good work. I certainly have more ideas. Amazing!! Love it! Another reason to get a Silhouette! It certainly has been an inspiring tool for me! Thanks for visiting. wow how pretty and simple! love it! I Am A Contributing Artist to Silhouette!